Hey, ‘Doc’…power up the Delorean because this week’s post is about time travel. Not to worry if you don’t have the legendary time machine from the 1985 film Back to the Future, you can take a trip to the past with a little imagination and an ordinary automobile. My husband and I pack up our car, neither a Delorean nor a time machine, and hit the open road. We drive for three hours south through Virginia’s beautiful green woodlands. Coincidentally we’re pushing 88 miles per hour, the speed the Delorean time machine must reach to travel to a programmed date. I imagine that our little yellow sports car also has the capacity to zoom through the space-time continuum to travel to the past. We’re taking this weekend getaway to discover our nation’s turbulent beginnings in one of the most prominent cities of the Revolutionary War; home to notables as George Washington, Thomas Jefferson, Patrick Henry, George Mason and other Virginia patriots. It’s the year 1774 in Williamsburg, the thriving capitol of the Virginia Colony. Though the town of 2,000 people is on the brink of revolution, horses’ hooves beat down on the dusty street with the familiar rhythm of everyday life. Wafting smells of roast goose allure hungry townspeople to the genteel surroundings of the King’s Arms Tavern. Sounds of the English organ resonate from the open doors of the Bruton Parish Church like welcoming arms. Young boys roll hoops along the sidewalk in front of the L-shaped Geddy House. Williamsburg’s gentlemen and politicians gather at R. Charlton’s Coffeehouse to make deals, discuss business, learn the news from England and exchange the latest gossip. In the busy coffeehouse heated debate ensues between friends over the King’s latest tax on tea. A gentry man orders a pot of tea from Sally Charlton, wife of the coffeehouse proprietor. He offers tea from his pot to his friends and business associates. Tea is served to each of the wigged men one by one. Suddenly one man abruptly places his hand over his empty teacup refusing the hot tea. He apologizes to Mrs. Charlton, ‘Pardon Ma’am, I was only thinking of the carpet’. ‘The carpet?’ asks Mrs. Charlton. ‘Yes indeed’, he says with his nose up in the air. ‘I didn’t want to have to toss the tea on your fine carpet’. Each of the men turns fiery red with passion as they debate boycotts on every-day, British, pleasures such as tea. The people who lived in Williamsburg during Revolutionary times and their patriotism made this town significant and it’s the people that work here today that bring it back to life. Visitors to Colonial Williamsburg, the nation’s largest living history museum, can tour the buildings alongside colonial characters and craftsmen in period costume. As ‘Doc’ from Back to the Future would say, ‘Great Scott, it works…the time machine really works’! It really feels as if you have taken a time machine back to the 18th century. The historic area of Colonial Williamsburg sits upon 301 acres and includes 88 original 18th century structures. Hundreds of other houses, shops and public buildings have been carefully reconstructed on their original foundations. Many of these buildings are open to the public and can be toured with admission to the historic area. These buildings of mere brink and mortar housed Virginia patriots and their ideas that lead to the American Revolution. Visit the cobbler and see real colonial shoes being made in the working shop. 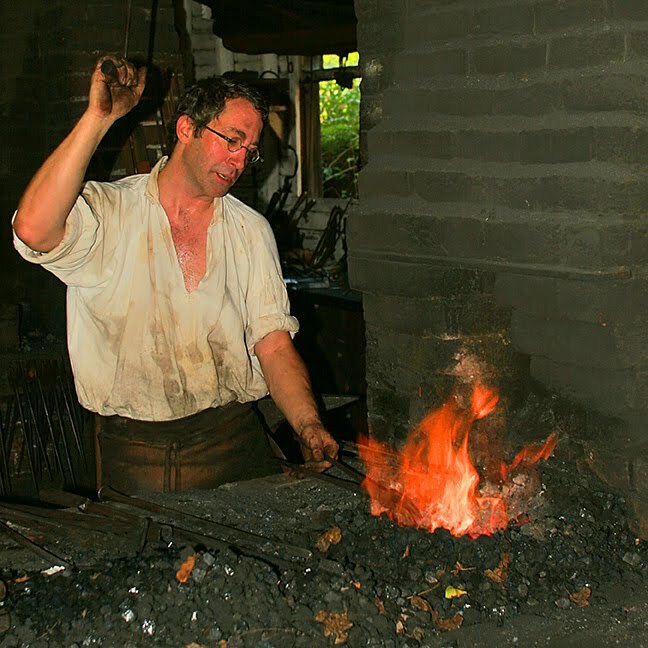 Stop in the silversmith’s shop and watch as a real silversmith forges a spoon from silver right before your very eyes. Visit the apothecary and learn colonial remedies such as chalk for heartburn, vinegar of rose petals for a headache, calamine for skin irritations, and cinchona bark for fevers. Twenty trades are practiced in historic Williamsburg using colonial tools and methods. After visiting the various trade shops, enjoy authentic cuisine of the Virginia colony. Take pleasure in fresh Virginia seafood at Christiana Campbell’s Tavern as George Washington did many times during his travels throughout the colonies. Christiana Campbell’s Tavern is one of four historic dining taverns; Chowning’s Tavern, King’s Arms Tavern, and Shield’s Tavern also offer authentic dining experiences from the 18th century. In addition to visiting restored trade shops and eateries, visitors can walk the same streets as Thomas Jefferson, George Washington, and Patrick Henry did. Better yet, walk alongside them. 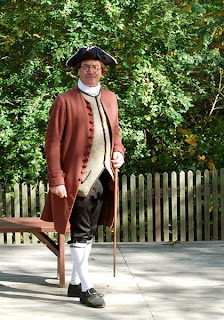 Costumed interpreters undertake years of study to render the founding fathers in first person every day. 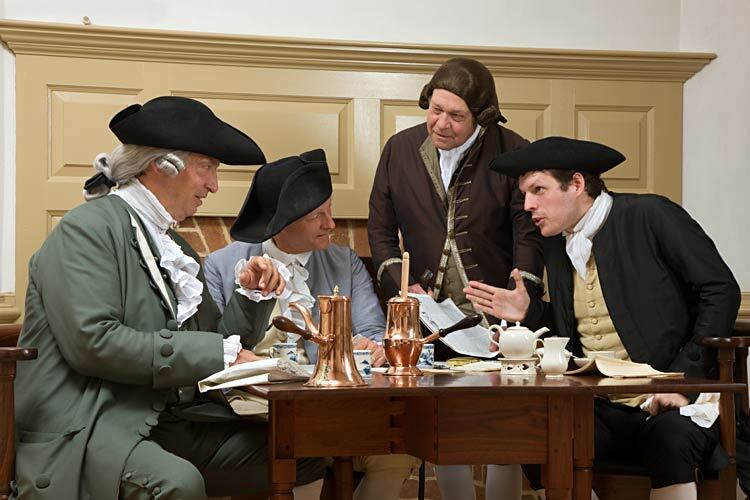 In addition to the framers of the US constitution, meet common colonial folk such as farmers, craftsmen, preachers, slaves and hear their stories as they use authentic colonial grammar and diction to realistically play their parts. Stories are what keep this place alive. 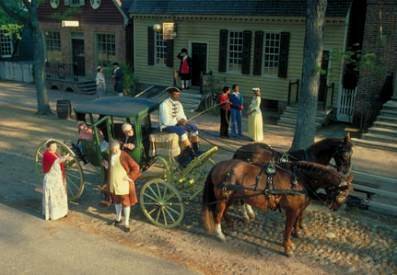 The motto of Colonial Williamsburg is ‘The future may learn from the past’. Over the past 240 years Williamsburg has maintained its charm, authenticity, and cultural significance by embracing the anecdotes that make this place so meaningful to the founding of the United States of America. Here, where many of America's early founding fathers debated the ideas of liberty, independence and freedom, democracy took root. It’s in the buildings and on the streets of this attractive Southern town that political debate became the catalyst for change in the colonies. Following a wonderful and educational experience in Williamsburg we hop back into our wannabe time machine and return to the present day. We experience a traffic jam on the 3 hour drive home and I jokingly say, ‘where we're going, we don't need roads’, a play on the ending phrase in the movie, Back to the Future. Though our experience would have been more authentic if we were actually able to travel back in time, (our car wasn’t able to generate 1.21 gigawats of power into the Flux Capacitor in order to cross the schism between past and present), our trip to Williamsburg provided valuable insight into the patriotic creation of our great country. 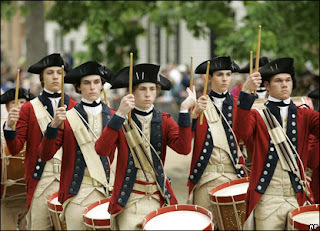 A fantastic destination for kids, patriots, history buffs, and weekend adventure seekers alike; Williamsburg is a not to be missed American destination.